CAPE TOWN, South Africa, April 10, 2019 /PRNewswire/ -- Graff, which has cut and polished the majority of the 20 largest diamonds discovered this century, reveals the principal diamond cut and polished from the 1,109 carat Lesedi La Rona rough diamond. Weighing 302.37 carats, the Graff Lesedi La Rona, is the largest square emerald cut diamond in the world, and the largest highest colour, highest clarity diamond ever graded by the GIA, making it one of the greatest diamond achievements in history. Found at the Lucara Karowe mine, Botswana, the rough diamond was the largest gem quality rough diamond discovered in over 100 years and the second largest ever found. Graff was confident that buying the rough stone would result in sensational gems, following the acquisition of 373 carat rough diamond in 2016 from the same stone. Familiar with the properties, they could predict how the Lesedi La Rona might behave similarly for the master craftsmen. Even with their experience, the Lesedi La Rona presented a unique challenge to Graff's expert gemmologists. The had never analysed a stone of such a prodigious size. A scanner had to be custom built, with brand new imaging software capable of probing its vast expanses. Using the new technology, gemmologists mapped the maze of imperfections, using this information to plot which cuts would yield the largest and highest clarity diamonds possible. At first, the analysis concluded that a 300 carat diamond wasn't possible. 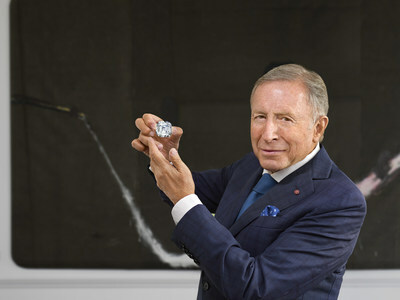 However, with the expertise surrounding the transformation of the rough stone, Laurence Graff was convinced that this exceptionally rare weight could be achieved. It took 18 months for the process to be completed – from the initial cutting with precise lasers, followed by the shaping, faceting and polishing by Graff's highly skilled diamond artisans. 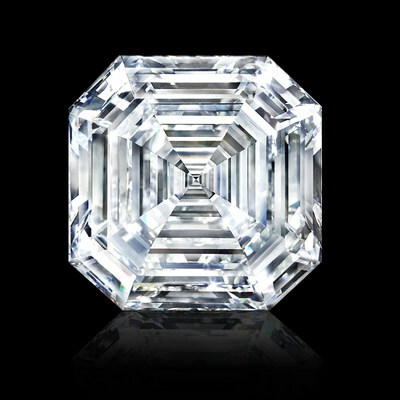 The GIA confirmed that The Graff Lesedi La Rona, weighs an awe-inspiring 302.37 carats and is a top D colour – the largest square emerald cut diamond in the world and the largest highest colour, highest clarity diamond ever graded by the GIA.